A DVD capturing live performances from the first half of Phish's summer 2009 tour - including footage from the Bonnaroo Music & Arts Festival and the Summer Tour's opening show at Fenway Park in Boston with fully remixed (from the band's multi-track recordings) and mastered audio. I received this for xmas and I am in awe. Joy radiates from the Box. Everyone in the house moves around the Box. The dog goes to all fours when near the Box. And Fenway too! you (will) enJOY yourself with this intricate and immaculately designed Joy box. The unique posters for each song are beautiful, and the book, bonus disc, and DVD are amazing. I ordered this Joy Box Set through the Dry Goods 10 day sale, it was a great deal and it was something my guy had been wanting but didn't want to spend the money on so I got it for him as a christmas gift. Well when he opened it he was so happy! The box itself that it comes in is pretty nifty as it has little pull out boxes with individual posters for each song. 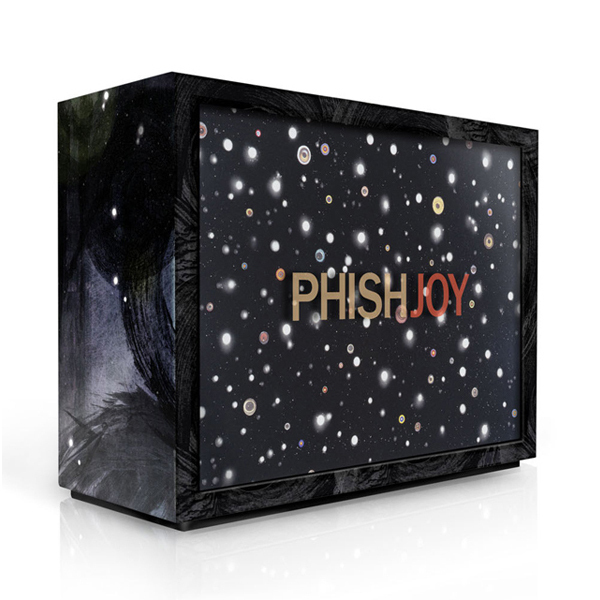 The book that pulls out with the cd's & dvd's is pretty cool, full of awesome Phish information on the Joy album. The only reason I am giving this product 4 stars instead of 5 is because the box itself was kinda of damaged and bent so it looks like it was a bit used but the posters were still in good condition so thats a plus!